Johnston and Terri Moore didn’t set out to be advocates for adoption, but by the time they had adopted their third child, the couple was on mission to help others with the process. Johnston, who worked in the film industry for nearly two decades, recalled the frustration of working through the system as their first two sons joined their family through foster care.1 While it seemed to be a “match made in heaven,” they battled custody issues, including difficulties surrounding the Indian Child Welfare Act of 1978. He and Terri, a teacher, decided the next adoption would be accomplished following a different path. 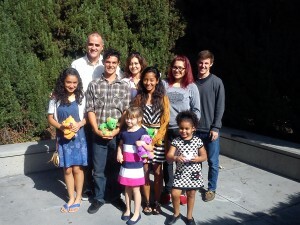 Today, the couple, who are members of the Grace Brethren Church in Long Beach, Calif. (Lou Huesmann, pastor), has seven children – all of them adopted through the foster-care system. 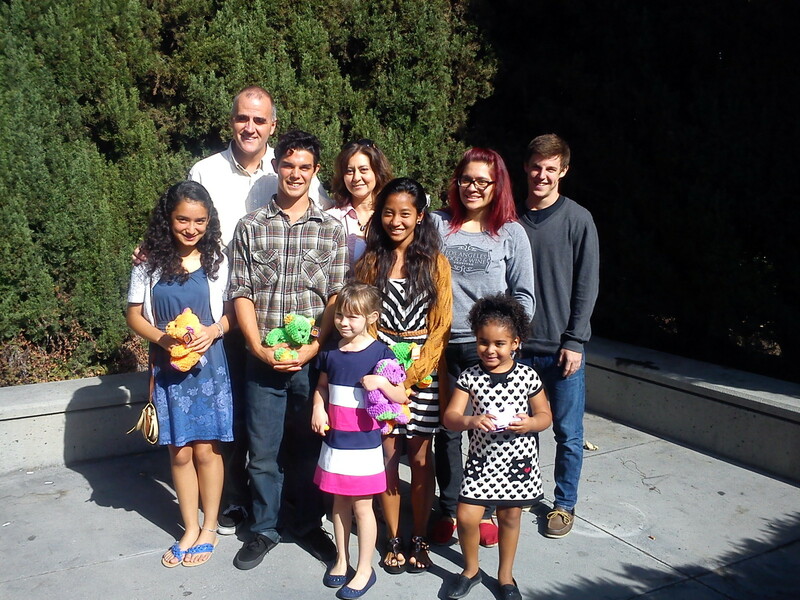 And their family has become a voice for foster-to-adopt, not only in southern California, but also throughout the U.S.
“We believe that God designed children to be raised in families; not in institutions, not in foster care, but in families,” he stressed. Johnston began connecting with others who were involved in foster care and orphan care ministries after a back injury briefly sidelined him. Unable to work in television and film production, he realized it also was an opportunity to spend more time with their kids. The nearly year-long disability quickly morphed into a new career. “I could have chosen to go back,” he stressed, “but I really felt like God was leading me elsewhere.” He recognized a new passion was developing – one that had advocates for adoption as his heroes, not the people in Hollywood. He was approached with the opportunity to become a writer for Hope for Orphans, an organization that partners with churches locally and internationally to train pastors and lay leaders to carry out James 1:27 —“to care for orphans and widows in their distress.” Joining the staff in 2007, he also began to help lead workshops around the country and coordinated the National Foster Care Prayer Vigil for several years. Because of the circumstances surrounding the adoption of their sons, he found himself testifying in Congress regarding the Indian Child Welfare Act and consulting with couples who wanted to adopt children of American Indian descent. When Hope for Orphans moved their offices to Texas, he was asked to join them there. But he and Terri decided to stay in southern California, where they were licensed foster care providers and were thoroughly involved in their local church. At Long Beach Grace, they’d seen a “ground swell” of support. With Eric Churchill, he founded Home Forever, an organization that promotes the adoption and well-being of foster children. With a background in international adoption, Churchill and his wife, Aimee, are, likewise, foster parents. He also provided the nonprofit board and leadership experience. Focusing on the permanency found in a family, the organization seeks to address policies that seem to prevent children from reaching that stability. They also speak at churches and other gatherings about God’s heart for orphans and adoption, and His desire for children to be raised in families. Moore said statistics show that the foster care system is not working. He noted that one study cited 70 percent of the inmates in California’s San Quentin State Prison came out of foster care; another stated 45 percent of the homeless in the state were once foster children; and several years ago, 59 percent of the girls arrested for underage prostitution in Los Angeles County had come out of the foster system. He’d like to see the church step in to help these young people. It’s a message he shares whenever he can, talking about what God’s Word says about the fatherless. “A lot of people don’t think about orphans as kids in foster care,” he noted. He’s emphatic that the children in foster care need protection, “but they also need families,” he said. “The government can’t be a family,” he adds, suggesting that the church has to provide the family. He knows there are no guarantees with foster-adoption. 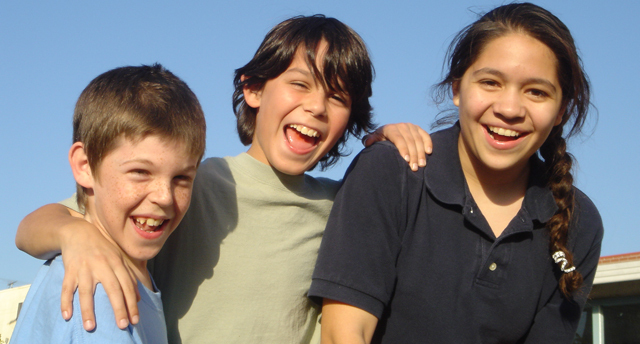 When a child moves into the home, he or she may go back to his or her biological family at some point. He’d rather a family focus on the child’s heart and on what God wants. But he also knows the children come with baggage – emotional or physical scars from years of abuse, wounds that develop as they are separated from loved ones or shuttled between homes, and the stigma of being part of the foster care system. “Ultimately, it’s not our job to fix these kids,” he stressed. “It’s God’s job. It’s our job to point them to God. I can love them unconditionally, and get them the services they need, and be a voice for them, but I can’t fix them,” he added, noting that sometimes the system that has been designed to protect them, often hurts them more than their biological parents did in the first place. He’s written about concerns related to foster care in a booklet published by Focus on the Family. Love and Loss in Foster Care is available through christianbook.com (http://bit.ly/1CUNdnl). They’ve had opportunities to lead one biological family member to faith in Christ and helped others turn their lives around. They also know that doesn’t mean custody should necessarily always be returned. Home for the Holidays, a special that was broadcast nationally on CBS in December 2012. On the program, their oldest daughter, Ashley, shared how she’d been neglected, abused, and needed a home before she was taken in by the Moores. 1 Foster care (in the United States) is the system in which a minor child is placed in the private home of a state-certified caregiver, often called a foster parent. This placement is usually arranged through a governmental or social service agency and includes some compensation for expenses.